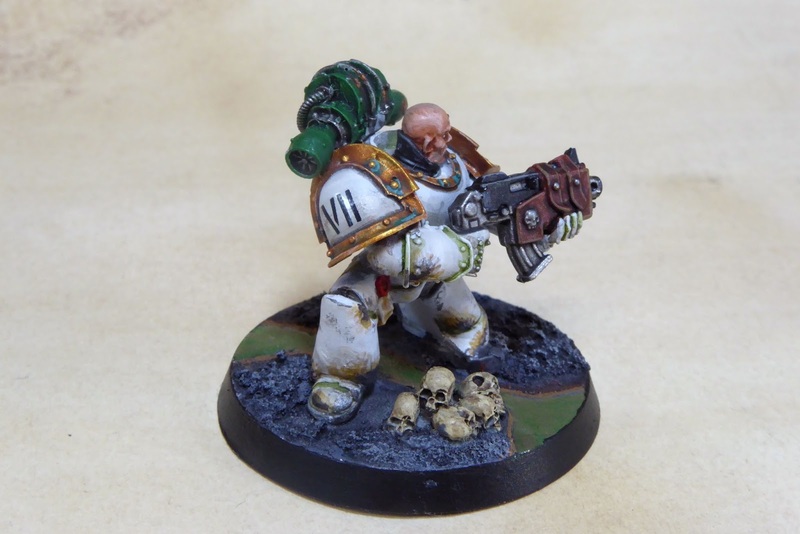 Old School Gaming: 30K Painting Competition: Death Guard Marine TO-DONE! 30K Painting Competition: Death Guard Marine TO-DONE! 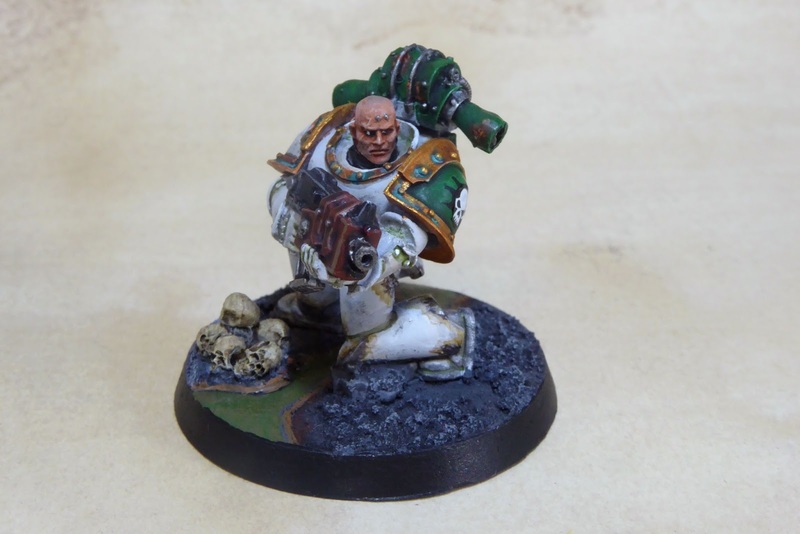 I just finished my entry to a 30K painting competition organised by the Google+ 30K community, a loyal Death Guard marine of the 7th Company. 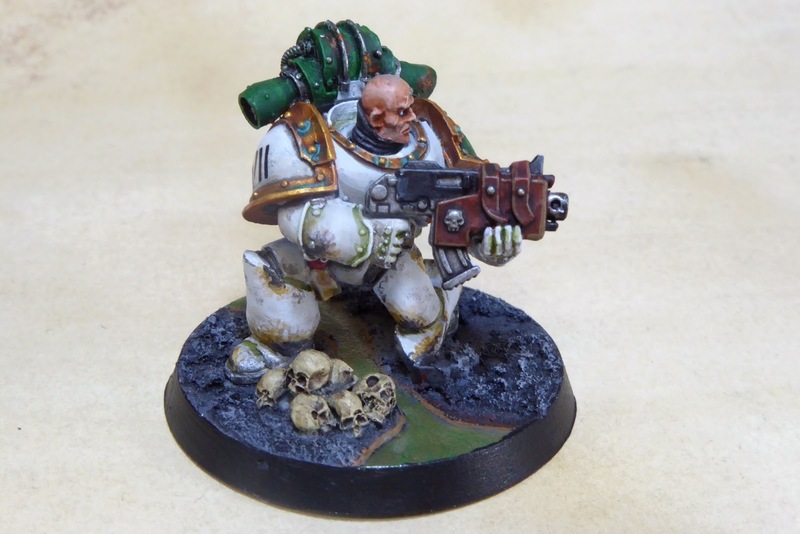 The 7th Company included quite a few notable characters that survived the virus bombing of Istvaan III, including Nathaniel Garro himself. The closer you look to the base, the worse he gets, as the crapulance spreads. The base is primarily Citadel textured paints (Astrogranite Debris), with an olive green river of slime that I coated with Noch water effects. 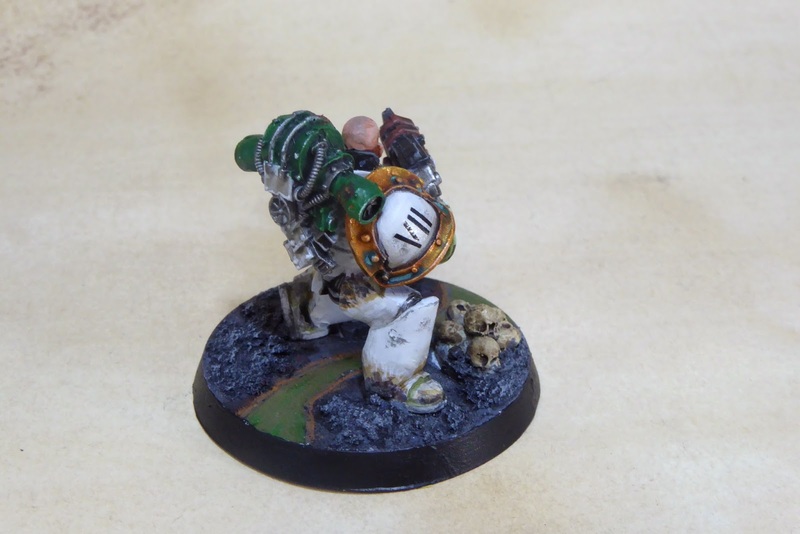 I tell you, waiting for those water effects to dry on the day of the deadline was excruciating. Usually I would shade and highlight the skulls carefully, but I wanted these to look dirtier. I have seen a few exhumed skulls recently (purely academic, I assure you), and they weren't neatly highlighted either. Around the edges of the slime I painted a light brown and orange crust. Ewww. 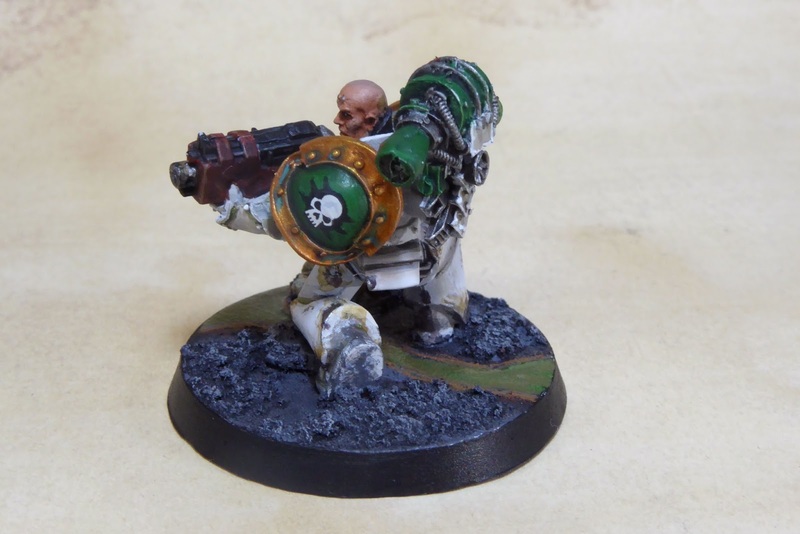 Sculpting Rivets: What NOT to do!